via Business Insider AustraliaThe Kisses urinal, designed by Dutch artist Meike van Schijndel. 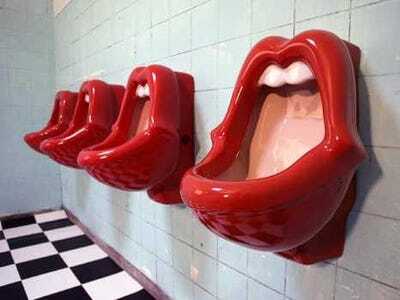 The venue responded by promising to remove the $US1150 toilets, designed by Dutch artist Meike van Schijndel, and inspired by The Rolling Stones lips logo, but re-installed them six months later following overwhelming “public support”. The Kisses design has proved popular around the world and van Schijndel has even set up aFacebook page which has more than 25,000 followers.